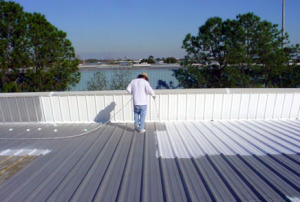 Homeowners nowadays can choose from a wide variety of roof coatings and paints for their homes. 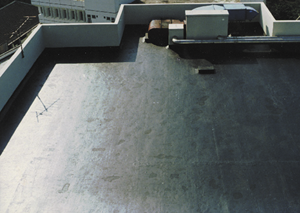 Selecting a coating depends on a variety of factors including the material used, style and pitch of the roof. Which one should you choose if you have an option? The information we provided below should help in your selection. These are made of different kinds of acrylic polymer and manufactured to increase the durability of the coating and therefore extend its life. While different colors are available, they come mostly in white because of its reflective quality. Most people prefer acrylic coatings because of their durability and low price. Proper application of acrylic coatings require at least two coats and may be rolled or sprayed. For best results, the second coating is applied perpendicular to the first. A recoating is also recommended within 2 to 3 years from application. Another name for this type of coating is cutback coating. The asphalt component, which is solid at room temperature, is liquefied or “cut back” with the use of a solvent. The process makes it easier to apply the coating on the roof’s surface. Asphalt coatings are sold either in black color or reflective coating of aluminum-finish. Users are advised to observe caution because asphalt coatings usually contain asbestos. These contain different types of organic and inorganic fibers and other fillers that strengthens the coating. The primary component are asphalt particles diffused in water. Clay is used as the bonding element. Asphalt emulsions generally come in brown and black colors although reflective versions are available when titanium or aluminum are added to the mix. People who prefer asphalt emulsions point to its easy application as a major factor. Applying the coating requires very minimal material and may be accomplished with the use of push broom. This type of coating is a favorite among environmentalists because it is biodegradable. Silicon coatings are created using solvents and catalyst added to a silicone base, a natural mineral. You can apply the coating using either a roller or spray gun. What make silicon coating stand out from the other types of coatings are its resistance to water ponding for long periods of time and its ability to adhere to different substrates even without the application of a primer. These two qualities of silicone coating make it the best type of coating since they produce both cost-effectiveness and quality.